According to Peterson the 10Day Social Profits trading platform has a 97,3% winning ratio and is generating $872 in average daily profits to its users. Any time anybody promises you a 97,3% winning rate on binary options you should run away. It is simply impossible to win that much. And when they promise it you for free, you can be absolutely sure that is a scam. Let’s put it straight, Charles Peterson does not exist, it is just a voice of a paid actor in the presentation. All the testimonials about 10day Social Profits are fake, paid actors just said what they were asked for. 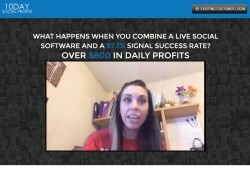 The main proof that 10day Social Profits is a scam comes in the members area. 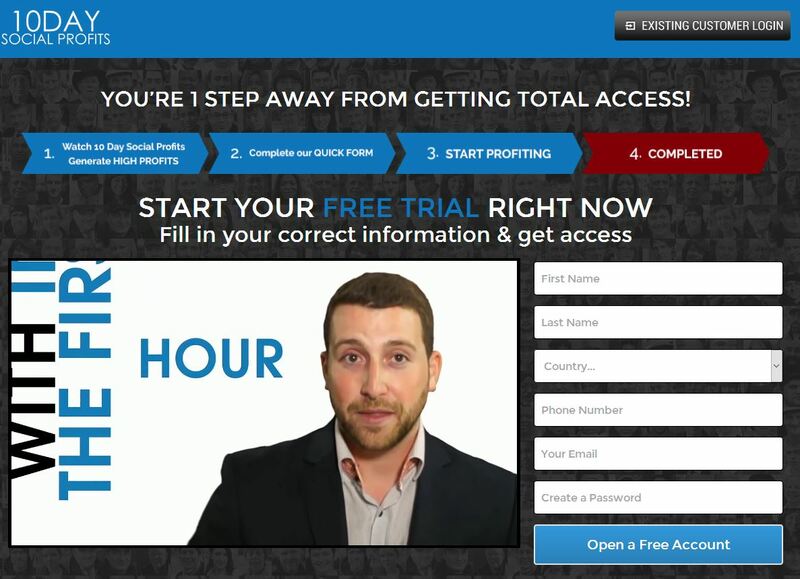 Everywhere you can see stock photos, but the video that asks you to deposit money is made by a guy (picture on the right) who acted in many binary options scams, like in My 1st Online Payday System for example. Because yes, you will have to deposit your own money in order to be allowed to use their app. So don’t do it, if you don’t want to lose your money. This is really just a scam with the purpose of pushing new customers to Banc de Binary who will lose their deposit quickly. 10day Social Profits is a binary options scam based on a typical scheme that we have seen many times, so stay away from it. If you want to see how binary options trading really works, try a free demo. Then you’ll see that it takes learning and building a profitable strategy to make money in binary trading.